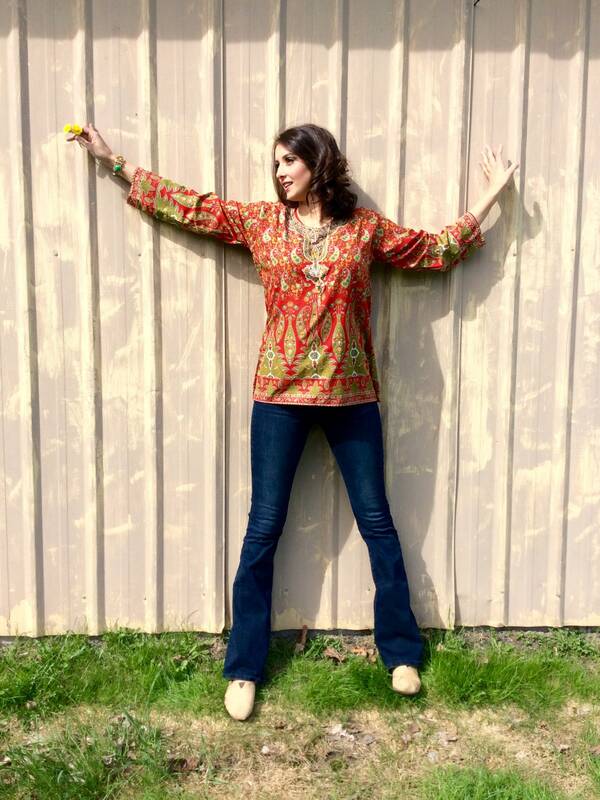 This gorgeous vintage blouse is timeless, and right on point with today's trends! 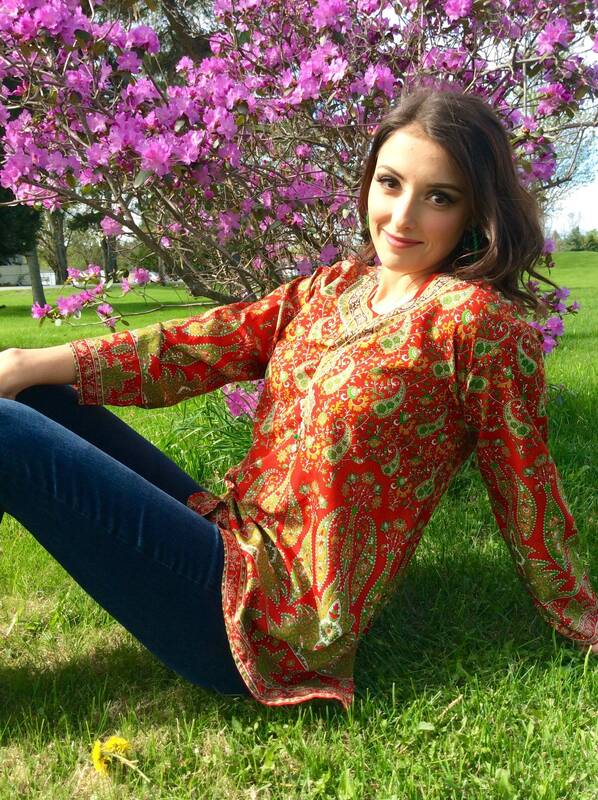 The tunic was created during the 1960s and is made of genuine silk. This tagless beauty does not have a size indicated, but would best fit modern women's sizes 8-12. Please see measurements below to guarantee fit. 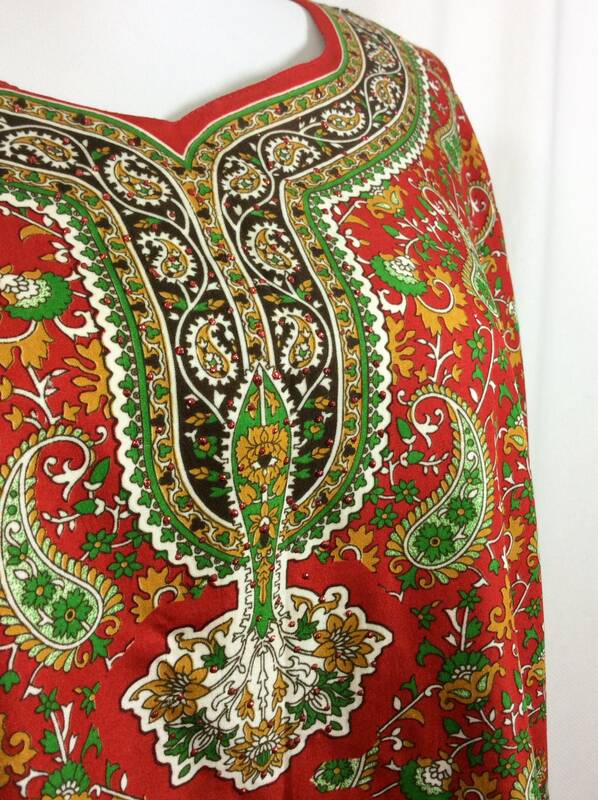 The print on this top is absolutely stunning in person! 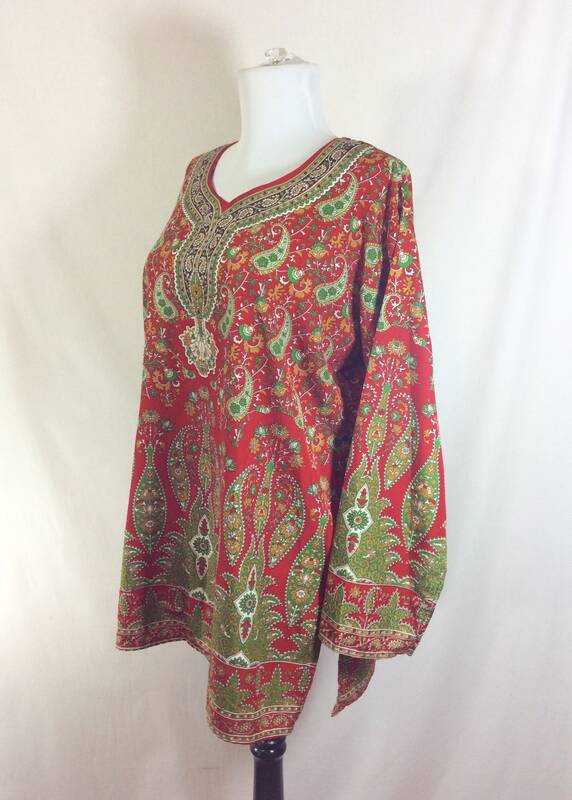 A red and green paisley print decorate the entire blouse. The shirt design was based upon print, the unique shapes are strategically placed. The placement of the print around the v-shape neckline is especially pretty, drawing attention up toward the face. The shirt also has little sparkling red glitter appliques throughout the garment! (See close up photos). These sparkly bits do not rub off, and they add extra visual interest to the print. 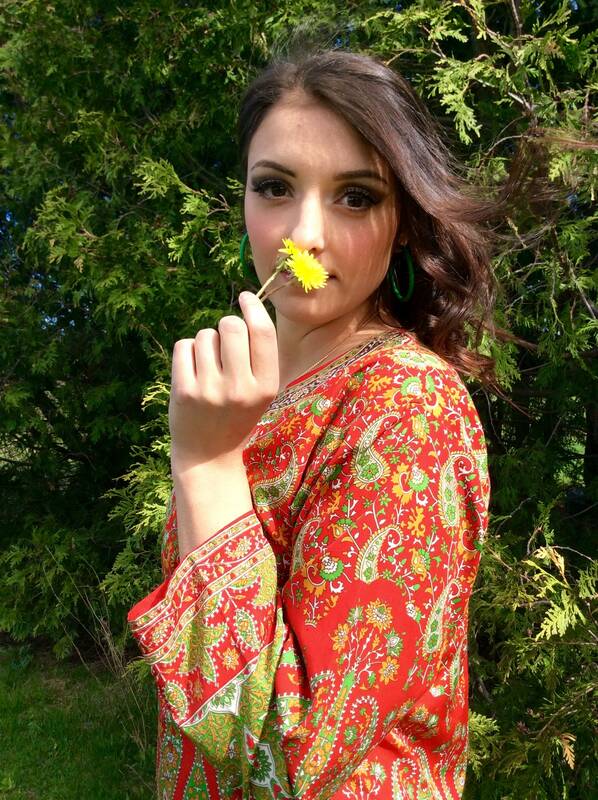 The silk fabric is lightweight and breezy. The blouse has a 6 inch slit on each side at hip level. These provide a more comfortable and versatile fit. 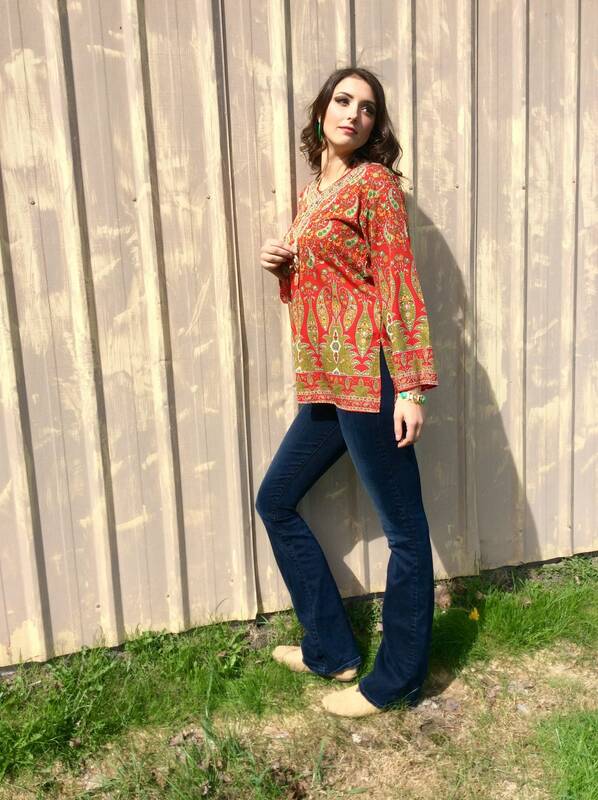 The bell sleeves give off a cute boho vibe that will be in style for years to come! 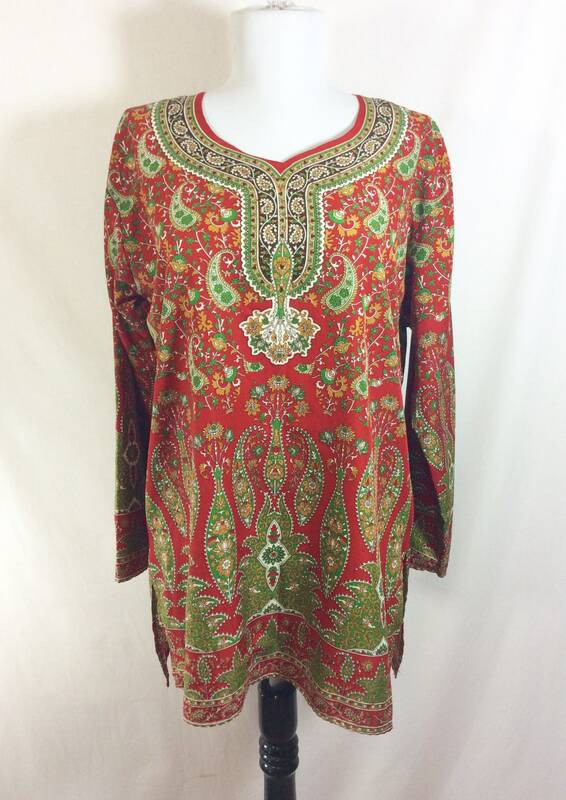 This top would look fantastic with jeans, leggings, or could even be worn as part of a costume! There are no holes, stains, or piling. 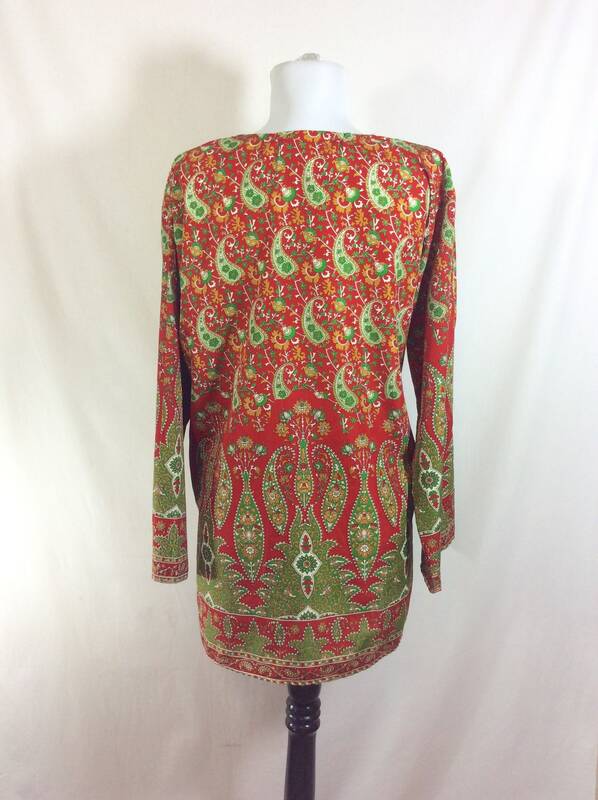 This garment is in excellent vintage condition and was stored in a smoke-free environment. Sleeve length- 20 inches long.